Thank you for your interest in partnership opportunities with Fiberdyne Labs! Over 20 years of research and development have made Fiberdyne Labs into what it is today - the experts in the physics of light. We're proud to be one of the few manufacturers to still offer a high quality, US-made LED display and sell it at a competitive price. We are currently looking for qualified partners in the field of digital signage, outdoor signage, or billboards, willing to build their business by supplementing their portfolio with LED signs. Because every project is unique, we'll help you deliver customized installation solutions that bring Edison Displays© video screens, Edison Displays© Fascia LED Displays and auxiliary informational displays together in one seamless package. 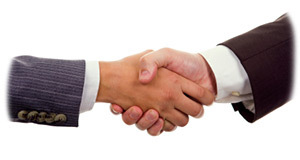 Let us show you how we differentiate ourselves from other manufacturers and what you have to gain from a partnership. To start the conversation, please call us toll-free at 1-800-894-9694 or use our form to Contact Us. Let us get to know you and your goals a little better. We will then contact you to set up a meeting and discuss the possibilities. Copyright © 2012 Fiberdyne Labs, Inc.